Laser Facial Rejuvenation offered in Freehold, NJ. Courtesy of THOR Laser. Cosmetic Acutherapy uses Laser Therapy for Facial Rejuvenation and Non-surgical Face Lift. Cosmetic Laser Therapy is non-invasive advanced technology for collagen building, that reduces the signs of aging without pain or discomfort. Low intensity beams of light are applied to the skin to stimulate collagen production, increase moisture, oxygenation and skin firmness, promoting skin repair, improved texture and appearance. The laser light gradually reduces wrinkles, tones the face and neck muscles, lifting the jaw line, the cheeks and eye brows, for a Natural Face Lift. 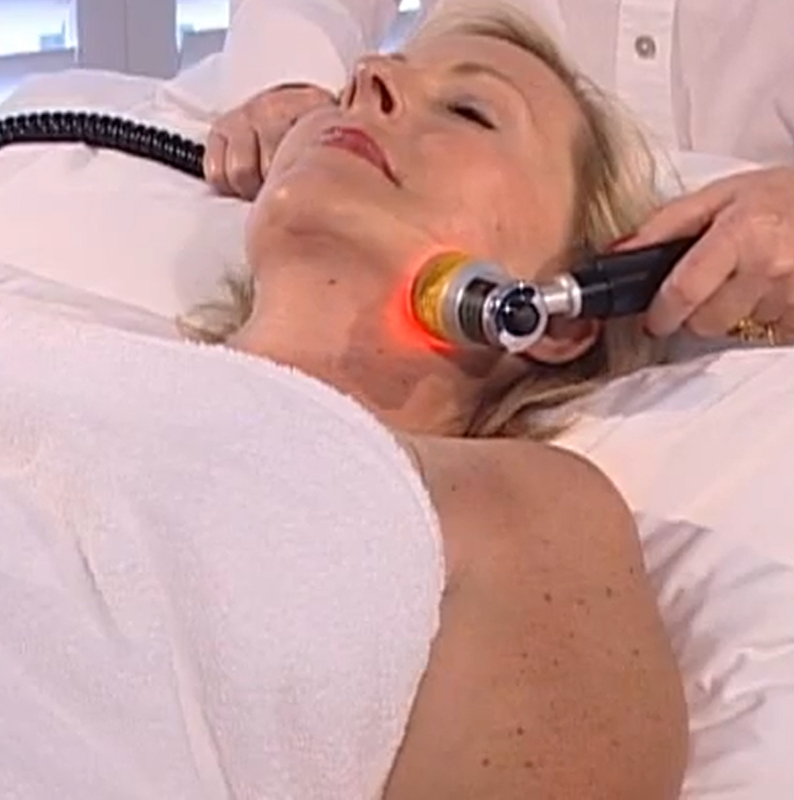 Laser Acutherapy uses a laser probe stimulating points along the energy lines of the face to re-establish health and vitality, rejuvenate specific areas. The treatment is painless, and normal activities can be resumed immediately. NO surgery, NO needles, NO chemicals, NO PAIN!